MyGuide is the Unique, Innovative and Intelligent Mobile APP available on Android, IOS and windows based Smart Phones, Tablets, iPADS helping visitors to explore the places like Museums, Zoo, and Tourist Spots etc. MyGuide is certified to work across any brand mobile device having Android 4.2 and above, IOS 7.0 and above and Windows. One of the bigest challenges today that every tourist spot facing is making available of the information in multiple languages so that the visitor has the freedom in enjoying the display in their own native language. Further there is no convenient mechanism available to track the challenges faced by the visitors and rectify them for better facilities. MyGuide will be implemented by Governments or Organizations who own the places of tourist interest and assists tourists with the information on the locations & displays in their native language. MyGuide Supports 165+ languages. Further, MyGuide has got the Map facility that helps the visitors in reaching the location with ease. MyGuide supports managing any volume or number of objects within the tourist spot and provides detailed information about those displays in 165+ Languages. Visitors can rate each of the display with their comments and sign their visitor book. 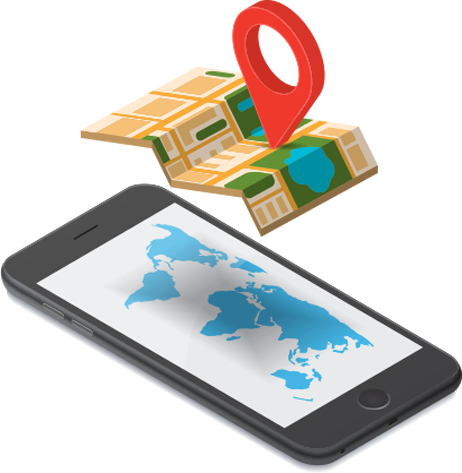 With the Map, users can reach out to displays easily with accurate time to reach them comfortable without any need for a search. MyGuide helps you in tracking displays of large attraction, issues faced by visitors and their suggestions on upgrading the overall facility. MyGuide provides Business Intelligence enabled analytics of both graphical and data reports. MyGuide Analytics provides details of Visitors based on: Gender, Nationality, Repeat Visitors, Most rated displays, Issue Ledger and TAT, Language wise users among other analytics. MyGuide also takes survey on the visitors on various current topics and helps you in analyzing them. You can publish push Notifications to all the users of MyGuide without any cost irrespective of their locations. MyGuide is social media integrated solution with Facebook, Twitter and Instagram.